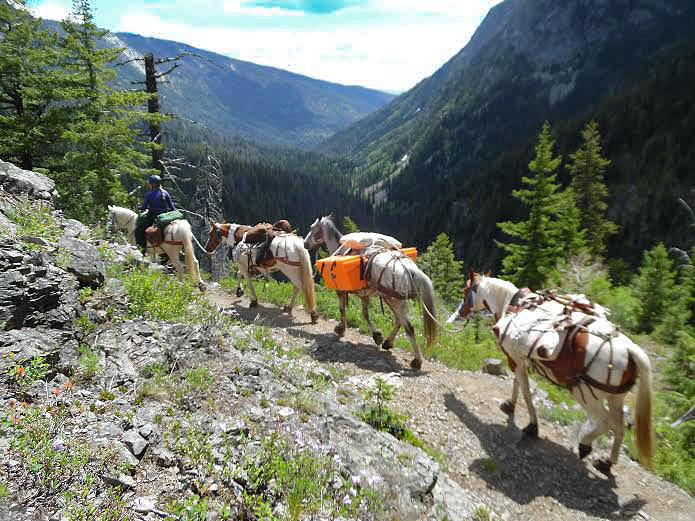 Let us take a load off your back while you hike or ride your own horse. We want to make the impossible, for some, possible. Our desire is to get you camping in the backcountry & enjoying the beauty that nature has to offer. Nothing can come close to witnessing sunset at the top of a mountain then waking to a gorgeous sunrise. Perhaps you want to "backpack" in a luxuriant manner instead of eating only freeze dried food & sleeping on a thin air mattress. Maybe you'd like your hunt or fishing camp brought in & taken out. Our animals can make that possible!